Since the Homeric finish between Michel Malinovsky’s giant 21-meter cigar, Kriter V, and Mike Birch’s yellow dragonfly, almost half the size, separated by just 96 seconds of eternity, 40 years of architecture and developments have passed. So we’ve been having fun with another duel, a virtual one this time. 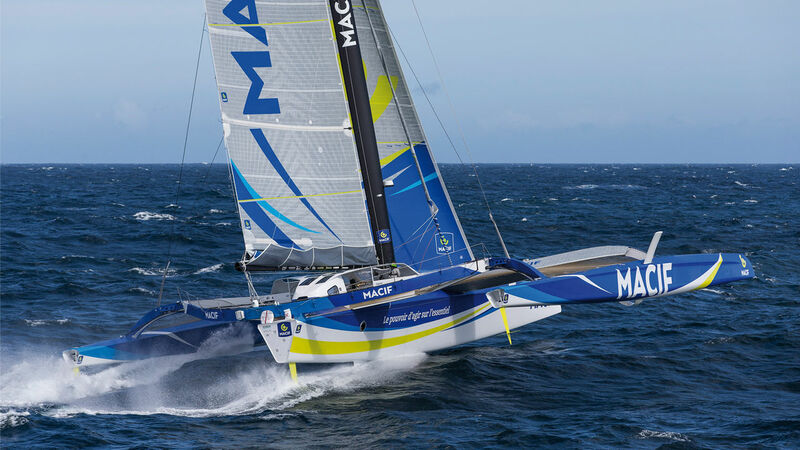 That between the mythical trimaran, winner of the first edition in the hands of Mike Birch, and one of the favorites for the next race, entrusted to the expert hands of François Gabart. Other days, other ways - length is only the visible part of an enormous iceberg of the change of century…what am I saying, of millennium! 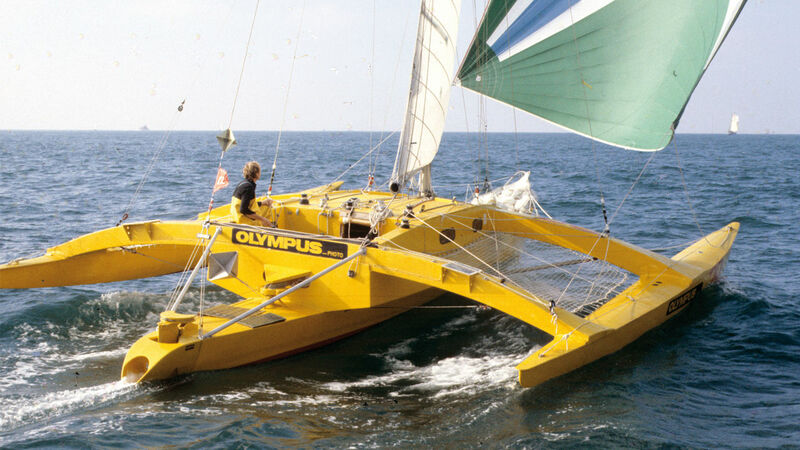 As numerous as a rugby team, with a specialist for each key position, lavish budget, state-of-the-art automatic pilot, cutting-edge electronics and information technology, real-time weather information, food fit for an Olympic champion, sails molded in three dimensions…few sectors have escaped a radical technological revolution. As if technological development was inversely proportional to time. As if Olympus Photo was closer to the 6,000 year old Polynesian pirogues than the Ultim Macif. Yet between the Canadian and the overqualified Breton engineer, there is the same passion for the sea and racing, the same beard, and the same twinkle in the eye at the finish line!